Here at Conies HQ we are reading with interest the latest progress report on the Government’s Road Safety Statement. In December 2015, the Government published its Road Safety Statement, setting out its vision, values and priorities to bring down the numbers of people killed and injured on our roads. In June it let us all know how it was doing against its targets. Firstly, the good bits. We applaud the progress being made on driver safety, especially on the toughening of penalties against those who use mobile phones while driving. We’ve all seen the high-profile cases of mobile phone use leading to horrific crashes and we think that increasing fines against offenders will help protect children, both as passengers and pedestrians. We’ve long been supporters of walking and cycling and that’s why we are also pleased to see the government agree plans for investment in safer cycling and walking infrastructure. Great that it will also spend some time and money in persuading people out of the car. However, we are frustrated by the lack of progress in implementing 20mph speed limits in appropriate areas. The progress report claims that it is ‘in progress’ and a report is due to be published later in 2018. There is clear evidence that 20 mph speed limits help save children’s’ lives, so we are puzzled why there has been no progress in this area and no definite date set for when the Governments report is due. Why the delay? The Conies will continue to campaign and inform to help keep our children safe on the streets especially around schools. We welcome the progress made, but key areas need to be addressed. And quickly. The school summer holidays are here and The Conies want you and your family to have a safe and enjoyable six weeks. 1. We all feel more cheerful when the sun is shining but if the weather continues to be as hot as it has been, then it is really important to protect your skin and keep cool. Follow our guide to sun safety to keep yourself and your children protected. 3. The recent tragedy in Norfolk has highlighted how important this point is. Before letting your child on to a bouncy castle, spend a couple of minutes checking out the operation, says ROSPA. This could help prevent any accidents. 4. Barbecues should be fun but it’s easy to get distracted when you have friends and family around for a few drinks. Keep children and garden games away from the cooking area. 5. Help your kids avoid stranger danger. Agree a place to meet if they get lost at an event, consider using a named wristband with your phone number on and tell them to speak to a policeman or another parent with children if they get lost. • If the road is clear, cross – don’t run! • Keep looking and listening for traffic as you cross. 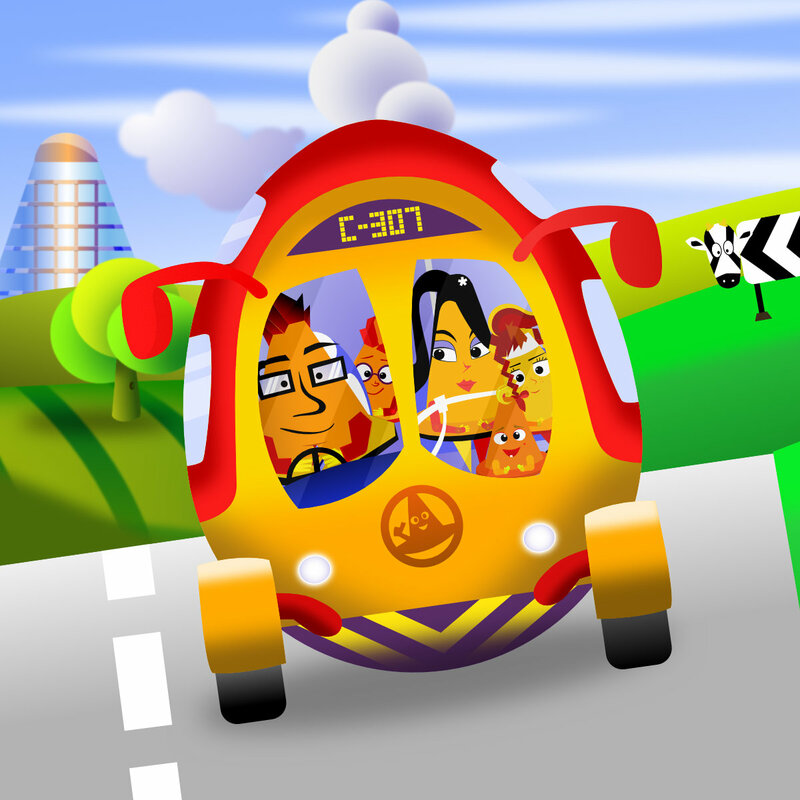 How about playing this online game from brake to help them think about safety in the car? Well done to the two winning families who will be going to see the Aviva Premiership Rugby Final. They were chosen at random from all those who entered our recent competition and correctly selected ‘Cone with the Wind’ as the answer. Cone with the Wind is our latest video available to watch on YouTube if you haven’t seen it yet, please do so. A gorgeously animated story with educational messages about the environment that will delight as well as inform all the family! The winning entrant Linsey Ferrari asked if she could share her prize with another winner as she didn’t need all the tickets. So two families, the Ferraris and the Worths will now benefit from the tickets given to The Conies by Aviva. 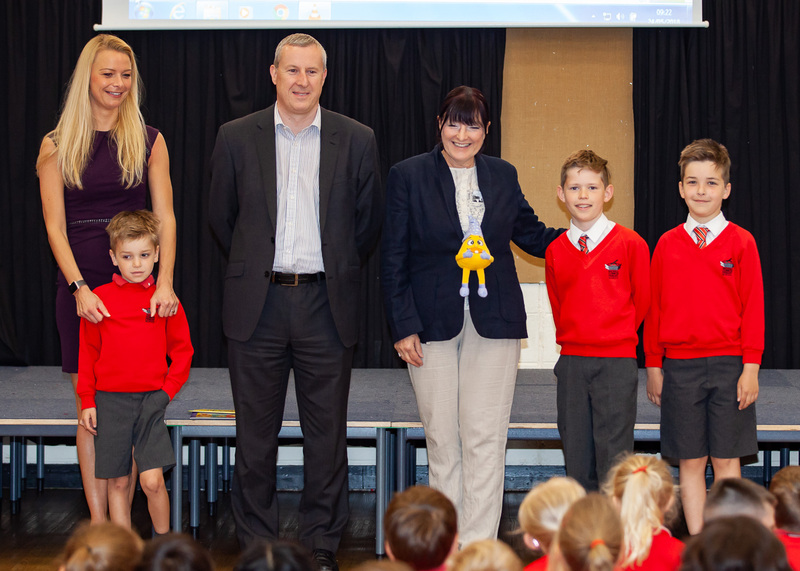 The tickets were presented in an assembly at Balsall Common Primary School today. Pupils at Balsall Common Primary School took part in The Conies Road Safety pilot last year. 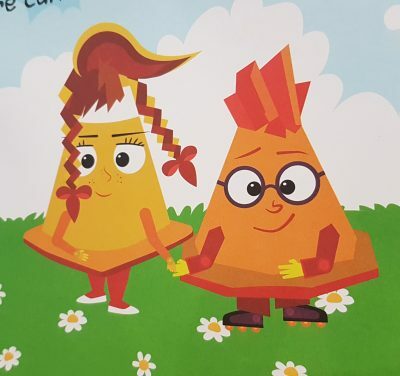 We also delivered another 300 journals this week so even more children can learn about road safety with our fun characters. Five thousand school pupils from 70 schools in the Aston, Nechells and Winson Green areas of Birmingham have benefited from road safety education and advice as we continue to expand our successful road safety projects throughout the city. This is at a time when a series of recent incidents have highlighted just how dangerous the journey to school can be. 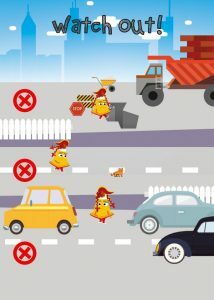 Following our first pilot in 27 Birmingham schools last year, we delivered road safety teaching resources to nearly 3000 children, located in high accident hotspot areas of the city involving school children. The response was 100% positive in feedback from both teachers and pupils alike. The success of the pilot means we have now been able to increase the number of children we reach with the delivery of thousands of fun and educational work books to local pupils. 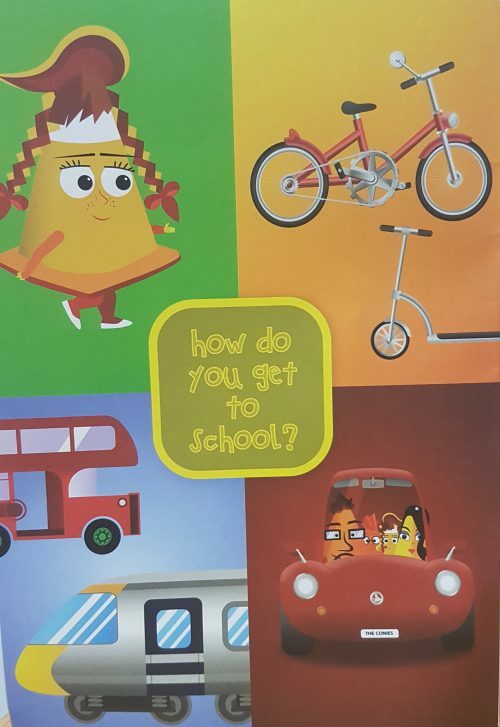 Teachers also receive lesson plan books with a variety of activities and scenarios for delivering road safety education to their classroom. 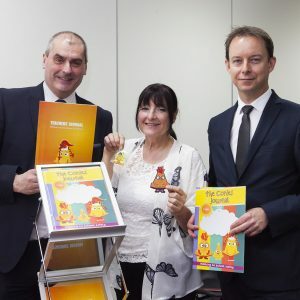 At an official launch event on Tuesday 22 May, representatives from West Midlands Police, West Midlands Fire Service, Birmingham Council, Five Alive Roadwise, and local schools heard more about the impact of The Conies Journal on local children’s understanding of road safety. Thanks to Colour Cubed who print our journals. 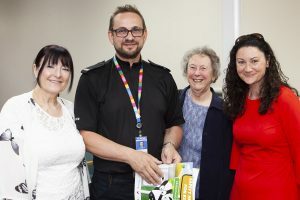 Fay Goodman – founder of the Conies, PC Malcolm Cooper – Young person’s officer – Birmingham Partnerships, Jean Roberts – Five Alive Roadwise, and Claire Turner. Fay added “We are delighted with the support we’ve received to extend our Road Safety programme and thank all our supporters who have made it possible. Our mission is to reduce accidents and to avoid potential dangers out there. The Conies are a fun and friendly way to teach children about risk and how to mitigate it. The Conies are already supported by the Birmingham Safety Community Partnership which comprises the WM Police, West Midlands Fire Service and Birmingham City Council. Also Tim Watts, Chairman of Pertemps Group, Jess Phillips MP and celebrity Rick Wakeman. 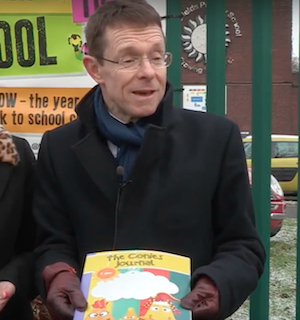 West Midlands Mayor Andy Street sent a message of support that was read out at the event. Department for Transport statistics show on average in the mid-1990s, 260 children killed on Britain’s roads annually. Year on year these figures dropped until 2011 with the trend now reversed upwards. In 2016 69 children (an increase of 15 from 2015), were killed on our roads. This was the highest figure since 2009. We believe that concerted efforts need to be undertaken to address this worrying trend. All support whether financial or volunteering time and skills would be very welcome, please get in touch if you can help. 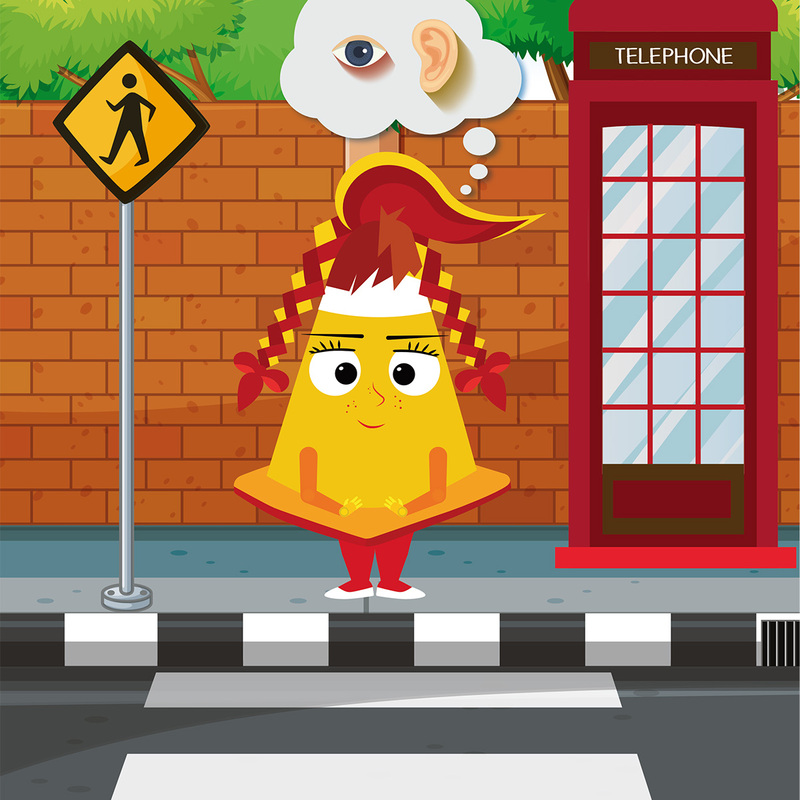 Use the walk to school to teach your children about road safety. Skills they learn now will be invaluable for the rest of their lives. The school run would also be safer for everyone if there were fewer car traffic around schools. Axa have published a report drawing on over six years’ data which showing 85,814 UK child injuries on roads within a 500m radius of schools, the equivalent of 1,190 a month. It’s better for your community. Fewer cars mean less pollution, less congestion and reduced parking problems around the school. According to Living Streets organisation their annual survey shows where 70% of primary school children in the 1970s used to walk to school, today that figure is 48%, the lowest ever. Such a decline impacts on children’s health, air quality, traffic congestion and road safety. By contrast 67% of Dutch children either walk or cycle to school. The amount driven by car in Holland is just 4%! Building strong bones and muscles. Decreasing the risk of obesity. Lowering risk for diabetes and metabolic disease. Lowering risk for cardiovascular disease. After a good cardiovascular workout, studies show children who arrive at school are more alert, focused and perform better in their academic education. Those driven to school have poorer concentration levels and over a three year period have been shown to be as much as 6 months behind academically. Exercise helps our brains make better use of oxygen thereby reducing mental fatigue and sharpen your thinking. You’ll spend less on petrol. When the car’s engine is cold it is less efficient so short journeys to school and back are particularly costly. One in three children driven to school live less than a mile from their school. Walking to school could save you time. Have your measured it? By the time you’ve loaded your car, driven and parked, walking could be just as quick – or even quicker. If your school runs a walking bus then you can wave goodbye to your children from a nearby safe location, saving valuable minutes in the morning. There’s more information about the benefits of walking to school on the Living Streets website. And, it’s not just about walking to school, May is National Walking Month, and we fully support the Walk This May campaign. We had some fantastic weather a couple of weekends ago and it looks like it will be back for this Bank Holiday Weekend, so we’re sure you’ll be out enjoying the sunshine. Even though it’s spring, the sun now is as strong as it is in August so we hope you’re taking the right precautions for your children. Here’s a reminder of some sun safety tips for your little ones. • Encourage children to play in the shade, especially between 11 am and 3 pm when the sun is strongest. Keep babies younger than six months out of the sun altogether. • Look for sunglasses that meet the BSEN 1836:2005 British Standard and carry the CE mark. Mayor Andy Street formally gave his support to us today at an event organised by Living Streets. We all visited Glebefields Primary School to find out more about their Walking to School project. Living Streets are the UK charity for everyday walking. Their work closely overlaps with ours; educating and encouraging parents and children to be safe on the school run. A generation ago, 70% of us walked to school – now it’s less than half. Living Streets want to reverse this decline. They want children to be energised and empowered, and to make walking to school their natural choice. We completely agree with that aim. Stay safe and play – it’s better than the internet any day! And never let anyone on the internet take you by surprise! We want to help you keep your children safe online as well as when they’re out and about. That’s why The Conies are supporting Safer Internet Day 2018 on 6 February. With the development of internet-connected toys and the use of tablets by pre-school children, it’s important to be able to support safe internet use for your children. Keep mobiles and tablets safe to use. All these devices have settings menus that allow you to manage your child’s use of them. It’s particularly important to restrict location and sharing controls, to manage what information your child may unwittingly share. Watch this video from the NSPCC for more information. Use the settings on your home broadband to restrict access to age-inappropriate content. Many providers offer free filters to apply to your system that will restrict the types of sites that can be accessed as well as the time of day that certain devices can access the internet. The four big providers (sky, BT, TalkTalk and Virgin Media have produced a handy video guide to take you through the process. Remember these won’t apply if you are using public Wi-Fi or at other people’s homes. Talk to your child regularly. This is often the best way to keep them safe online. Discuss and agree the boundaries and timing around internet access. Go through the apps they use and make a list of them together. There are lots of resources to help you, including e-books from the UK Safer Internet Centre to read with your child and this guide from the NSPCC on starting the conversation. Finally, remember that there are many other ways to keep children entertained. How about the great outdoors? The National Trust is a great place to start for advice on activities for your family that gets them off a screen and into the fresh air. Check out their advice here. If you are local to us in the Birmingham area, here’s some fantastic ideas for free things to do. 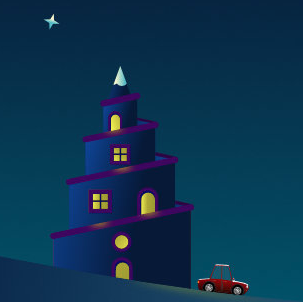 Children’s safety at Christmas is something that we’re thinking about at Conies. Many of us will be travelling to relatives’ or friends’ homes over the festive break and here’s our top Christmas safety tips if you’re away from home for a few days. 1. Get there safely — As a road safety organisation this is bound to be top of our list. Make sure your car seat is correctly fitted for the journey – a worrying 70 percent of children travel in incorrectly fitted seats according to government figures. Once you’ve arrived, stay alert, if you get lifts with someone else, make sure that any journeys in different cars are safe. Always fit the seats properly, taking time to check them. Remember that not all seats fit in all cars, and if you need to put a rear-facing car seat in the front passenger side, you must turn off the front air bags. Consider activating the rear child locks, people who don’t travel regularly with children in their car aren’t likely to have them switched on. 2. Guard against burns and scalds — Visiting a different home over Christmas may mean you having to re-assess the risks. Scalds are the fourth highest cause of hospital admission for under-fives, with hot drinks causing most of the incidents and bath scalds being the most serious. Different kitchen layouts could mean higher risks of hot pans falling from cookers. Radiators, kettles and hair straighteners can also be dangerous for young children. Make sure the festive candles are all extinguished at night and keep lighters and matches out of harm’s way. 3. Suffocation and strangulation — Tragically, this is the leading cause of accidental death in children under five. A different home may present new dangers such as blind cords, and temporary sleeping arrangements need to be safe from risks of suffocation from pillows or sheets. Remember to keep nappy bags away from young children. 4. Poisoning — Four thousand young children under five are admitted to hospital each year following a poisoning incident. Visiting a different home may mean a quick check around to make sure things are safe. Move chemicals out of accessible cupboards, and make sure medicines are out of reach – this is the cause of seventy percent of poisoning accidents.. New toys mean new batteries, so watch out for button batteries which are dangerously tempting for babies and toddlers. Your hosts may not be used to having children in the house, but a quick check around your temporary home will mean you can enjoy the festivities happily and safely – Merry Christmas! 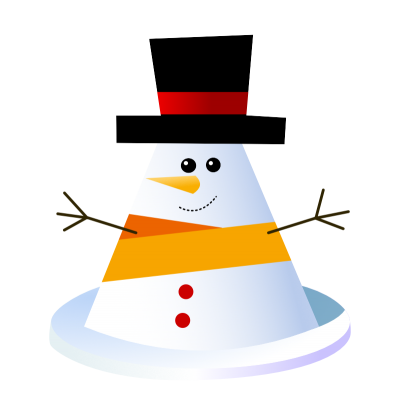 We’re always working hard to keep children safe and as the weather has been so chilly lately and is forecast to be again, Mr SnowCone has come up with his top ten tips to keep you safe in the cold weather. Always wear suitable footwear, make sure you have good grips on boots or wellies for the snow! Wear warm clothing, including lots of layers. The more comfortable you are, the less likely you are to be distracted and can concentrate on your surroundings. We love woolly hats! Make sure your scarf is kept short so you can’t trip over it. Wear something Hi-vis and your Conies snap band so you can be seen in bad weather or on dark evenings. Never slide on the pavement as it makes it more slippy and dangerous for other children and adults. Never, ever walk on frozen lakes or ponds, you don’t know how thick the ice is. Snow can be really good fun, if you make sure you stay warm and safe.